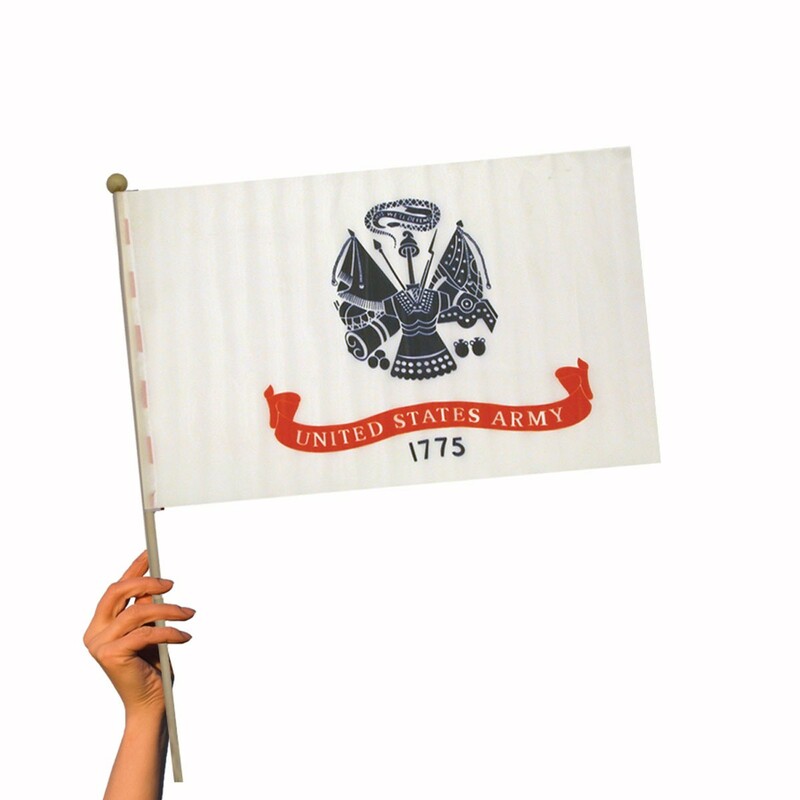 Quick Info: U.S. Army Flag, 12'' x 18''. Cloth Army Flag glued onto a thick wooden doll rod (23'' long). -Priced per flag. U.S. Army Flag, 12'' x 18''. Cloth Army Flag glued onto a thick wooden doll rod (23'' long). A large wooden ball is attached to the top. *Please note: Orders less than $100 worth of product (p) are subject to a $15.00 (p) less than minimum charge. Most products that appear in the 12 piece column are indeed subject to the $15.00 less than minimum charge.